The fate of two Mistral helicopter carriers, ordered by Russia and built by France, but not transferred to Russia for political reasons, seems to have finally been solved. The Elysee Palace announced that a principle agreement has been reached for their sale to Egypt. Egypt’s interest in the amphibious helicopter carriers, capable of long-term autonomous navigation, is quite natural. Egypt faces serious threats to its national security in both the Mediterranean and the Red Sea basin. Islamists are running rampant in neighbouring Libya, which has been destroyed by NATO bombing. Local radicals, who have entrenched themselves after the revolution of 2011 in the North Sinai, flow into Egypt from there via the open border that runs through the Sahara desert. Egyptian security forces are leading an active anti-terrorist operation there, but its end is not yet in sight. This winter, the Egyptian Air Force already bombed terrorist camps in Libya, but bombings took place far from the border. Meanwhile, the length of Libya’s Mediterranean coast is about one and a half thousand kilometres, and a helicopter carrier would come in handy to strike terrorist bases, which are distant from the border. A Mistral could also be used in the North-west of Syria in the fight against the Islamic State, to whom Egyptian Sinai radicals have sworn allegiance. There will be plenty of work for a Mistral and in the Red Sea. The basin is of strategic importance to Egypt because vessels traverse it en route to the Suez Canal. In August, a second shipping lane of the canal was commissioned, so that the number of ships passing through it will increase. Meanwhile, although the severity of the problem of piracy at the entrance to the Red Sea has faded in recent years, this problem has yet to be fully solved. What’s more, Egypt is participating in the international coalition, leading the fight against Houthi insurgents in Yemen. In general, it must be said that Egypt, the largest Arab state according to its military and economic potential, plays a key role in ensuring security in the region. The strengthening of its ability to quickly and effectively respond to the challenges of terrorism will be welcomed by regional allies, particularly Saudi Arabia and the United Arab Emirates. It can’t be ruled out that it will be these two states that finance the purchase of the Mistrals. At least, the French press claims that Saudi Arabia Egypt will pay for the deal. Even Russia has good reason to be satisfied with this deal. After the Egyptian revolution on June 30, 2013, the two countries have developed close, essentially allied, relations. 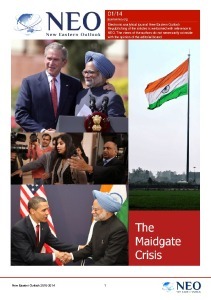 The rapidly expanding multilateral cooperation even encompasses the military sector. 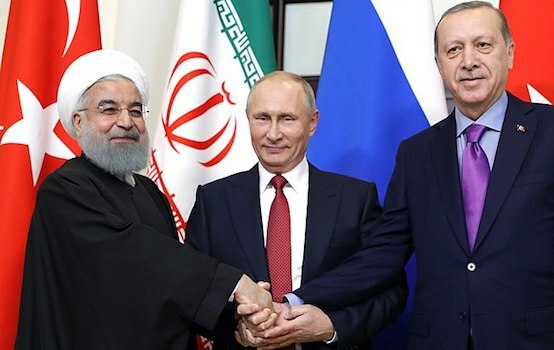 In June, the Russian and Egyptian navies held joint manoeuvres, codenamed “Friendship Bridge 2015″ in the Mediterranean Sea and the Egyptians have suggested that such manoeuvres were held annually. So you can be sure: The Mistrals will not be used to the detriment of Russia. Moreover, in a critical situation, we are likely to be able to rely on their support. 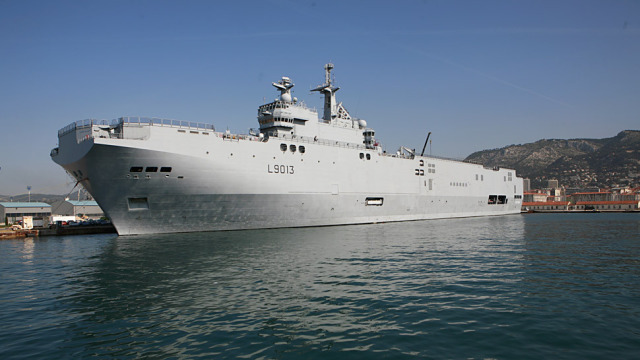 When the agreement was signed between Russia and France on the breach of the Mistral contract, it was agreed that should France sell the helicopter carriers to a third party, they will take Russia’s interests into account. The President’s Press Secretary, Dmitry Peskov, commenting on the Elysee Palace’s announcement, said that seeing as the deal was made with Egypt, it means that Russia’s interests were taken into account. I might be so bold as to suggest that the very idea of this deal did not come up in Paris or Cairo, but in Moscow. And finally. France’s deal with Egypt would hardly have please Washington. Its powerful pressure on Paris managed to prevent the transfer of the helicopter carriers to Russia. In the end they will not be in the hands of US allies, of which Canada was one state who offered to buy the Mistrals from France, but in the hands of a state friendly to Russia. This means that the damage that Washington hoped to inflict on Russia’s national interests with the refusal to deliver the helicopter carriers, has been reduced to a minimum.